As you explore the isles of Ancient Greece in Assassin’s Creed Odyssey, you may come across the mysterious Ainigmata Ostraka riddles pointing you in the direction of some tasty treasure to earn. You’ll get no quest marker for these, meaning it’s up to you to hunt down the end spot for each. If you get stuck, you can always follow our guides instead. 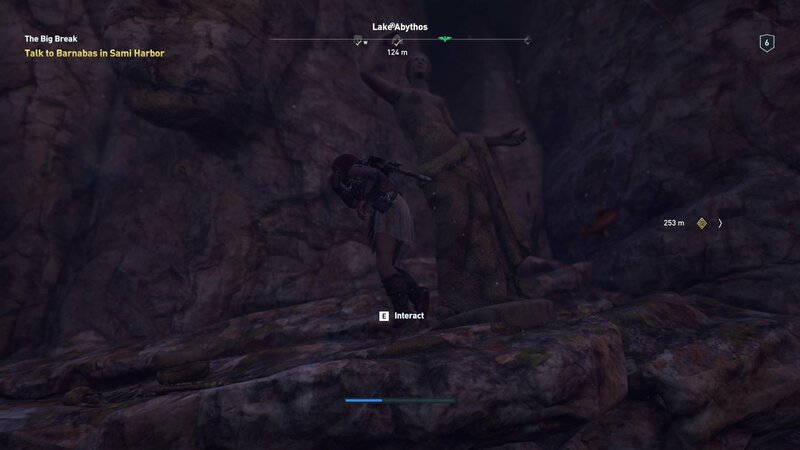 In this article we’ll teach you where to find the Bottomless Lake Ainigmata Ostraka riddle treasure in Assassin’s Creed Odyssey. The location this is pointing too is still in the Kephallonia Islands, where you picked up the clue itself. Bring up your map and keep an eye out for the Cost of Koliadai. Just below the letter C in the coast you’ll see a lake. It’s called Lake Abythos, and this is where you need to take some diving lessons. Jump on in and swim down until you see a statue of a woman. There’s plenty of cash that’s well worth collecting in this not-so-bottomless-after-all lake, but to complete the riddle you need to swim close to the statue. You should be able to interact with the area around it to claim the treasure, just be careful of running low on your air supply while you’re searching. With that Ainigmata Ostraka riddle checked off your list, you can hop straight onto any more you’ve been struggling to solve. 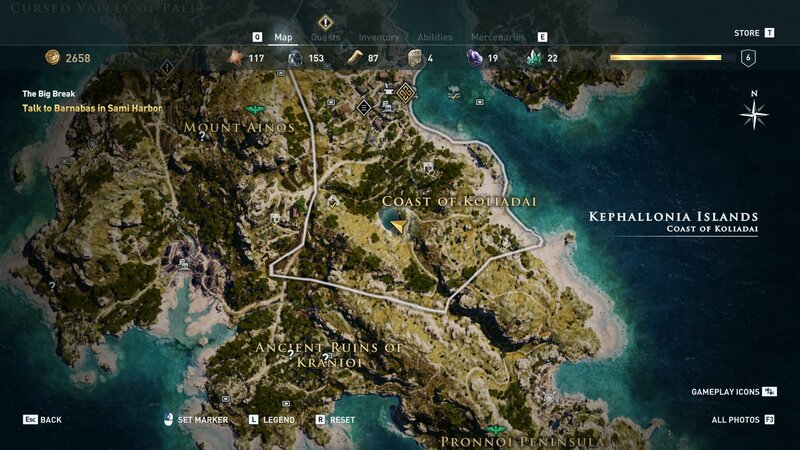 Otherwise, take a look at the rest of our Assassin’s Creed Odyssey guides. Wondering what Mistheos means? We can explain it! Hunting down the treasure from Xenia’s maps? You can check out our guide for them too if you’re in need of some direction.